Welcome to your new home! 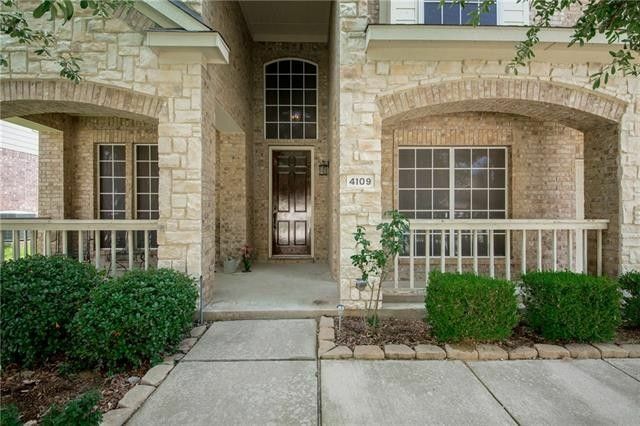 The towering trees in the front yard give a sense of peace as you enjoy the warm Texas evenings on the covered front porch. The entryway takes you to an open floor plan, with vaulted ceilings in the living room, flat-top bar that encourages conversation, and a flow into the breakfast room and outside--perfect for entertaining! The huge backyard would easily accommodate a pool. The large windows allow tons of light, but the front--and part of the back--is protected with solar screens. Under-the-counter and under cabinet lighting in the kitchen. 3 bedrooms upstairs--2 with huge window seats--and a loft. The master is down. Large study can be a 5th bedroom as it has a closet. Come see!